Beautiful and functional way to display your colors. Attaches with hook & loop strip. Sunbrella Fabric is fade-proof, stain resistant, and worry-free. 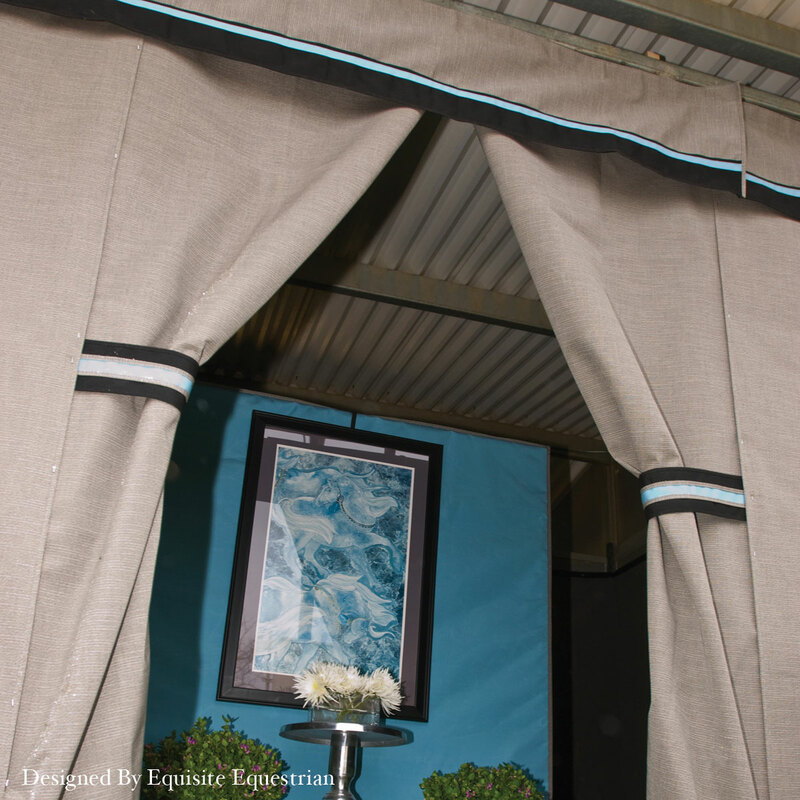 Beautifully constructed Name Banner compliments any horse show set up. Sunbrella Fabric is fade-proof, stain resistant, and worry-free. A must-have accessory for long days at the horse show or lounging at the barn or office. Chair only- does not include seat chair and back. 30" x 19" x 8". 11lbs. Made in the U.S.A.